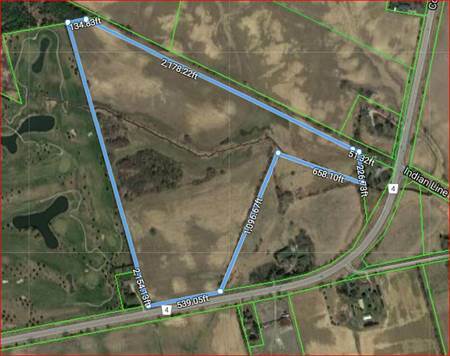 Here is an attractive 48 acre country property situated South of Brantford with around 41 acres clear. The land's topography is pleasant to the eye and is of a rolling nature with a flowing creek crossing through it seasonally. Notwithstanding the provisions of this By-Law to the contrary, within any area zoned A-9, no dwelling unit shall be permitted. All other requirements of the By-Law shall apply. Please be advised that the above noted property is Regulated by the Grand River Conservation Authority (GRCA). Please contact the Authority for further information.